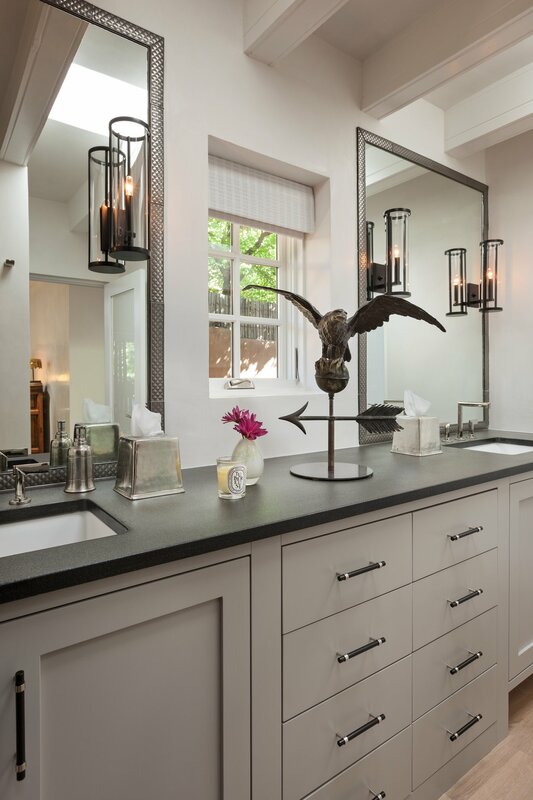 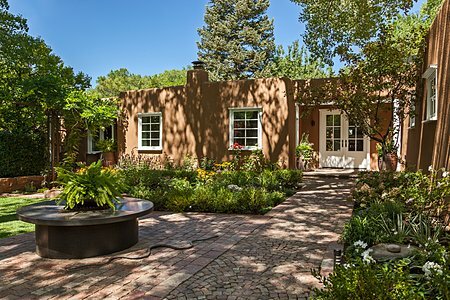 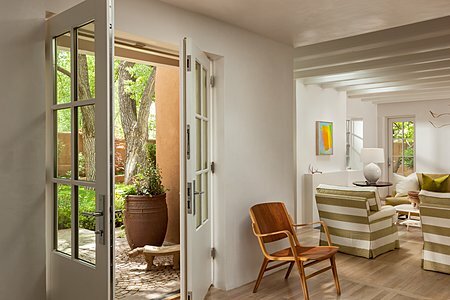 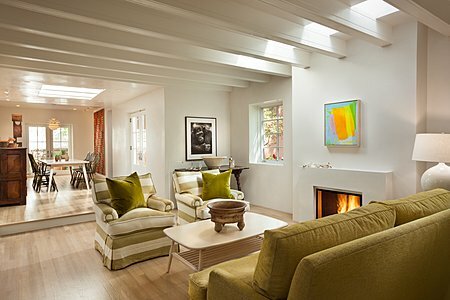 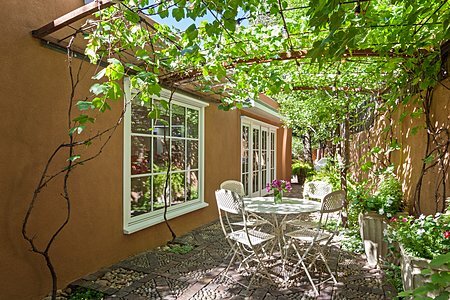 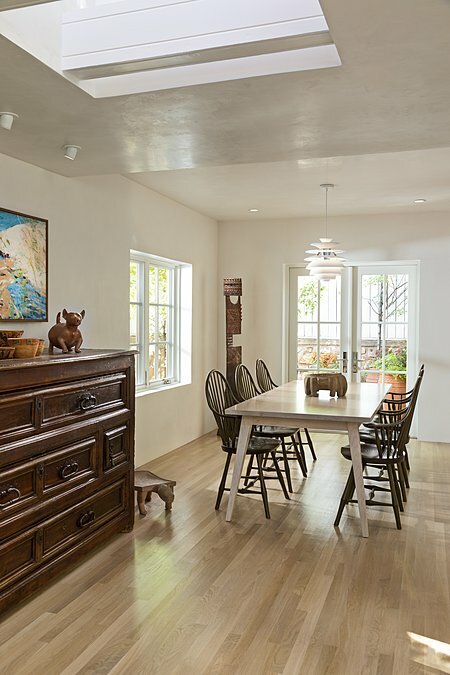 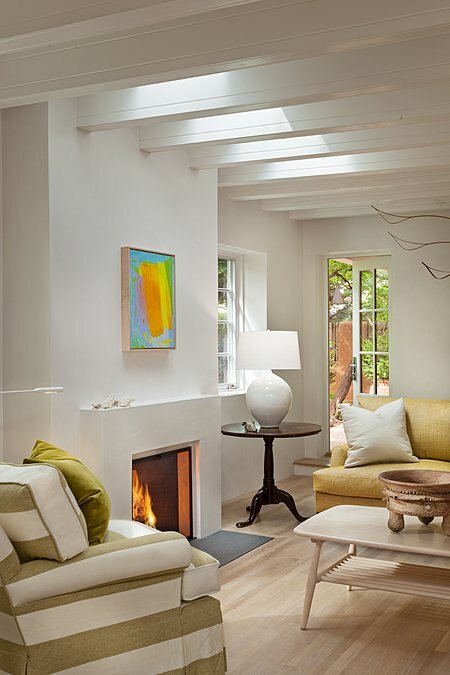 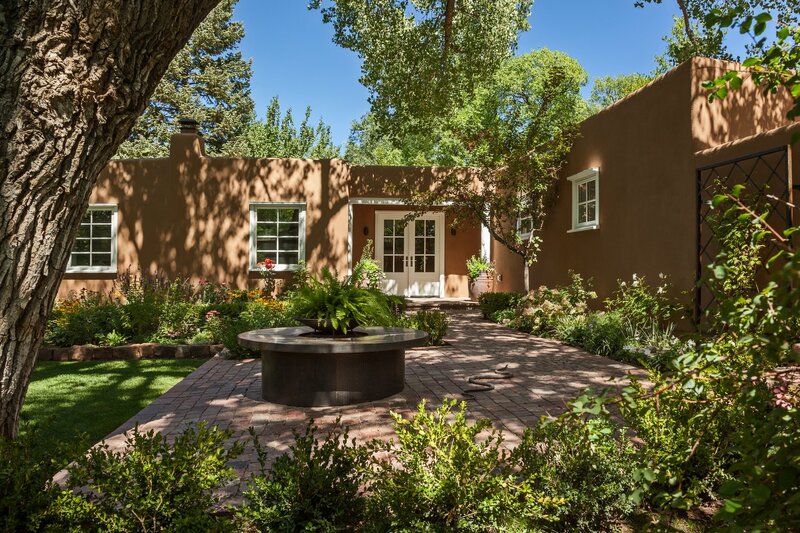 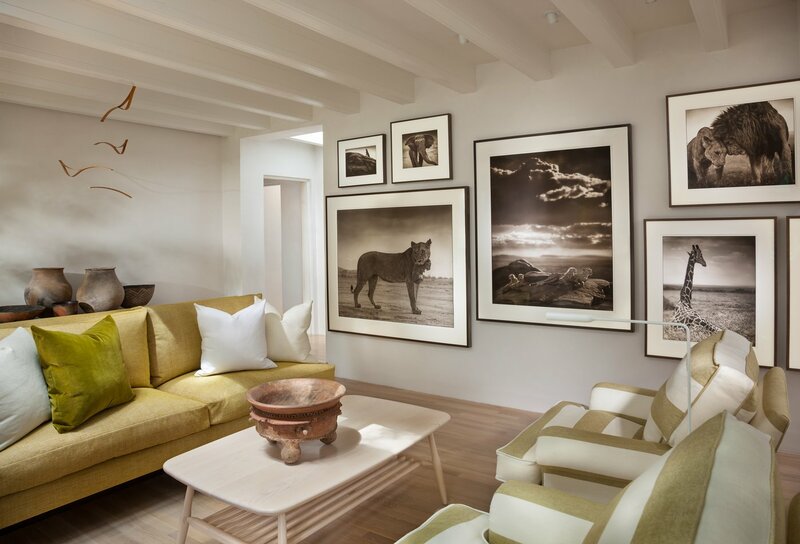 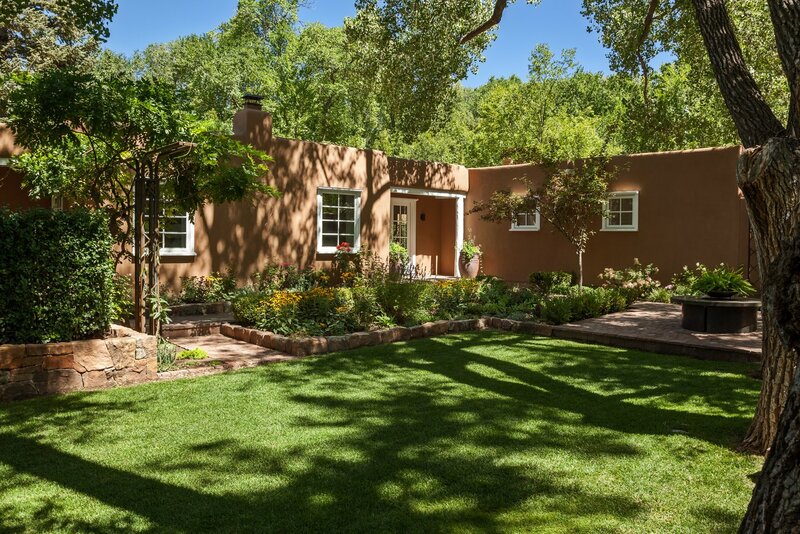 Sequestered behind walls this 1930's eastside Santa Fe style home has been completely renovated by the award winning team of Woods Design Builders and Violante and Rochford Interior Design. Awarded Best Craftsmanship and Historic Preservation by the 2016 Parade of Homes, the result is a masterful blend of a modern, elegant interior with an old-world historic feel on the exterior. 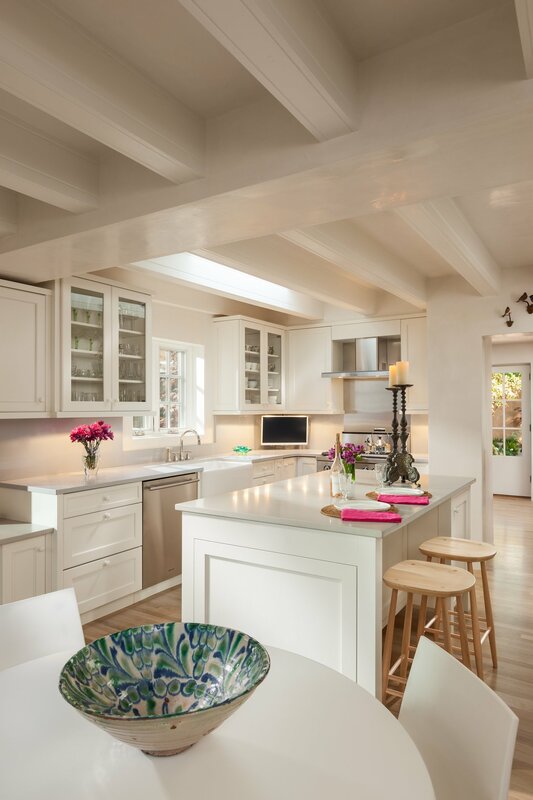 Interior walls were taken down to the studs to create an open concept, bright, airy feel of timeless elegance. 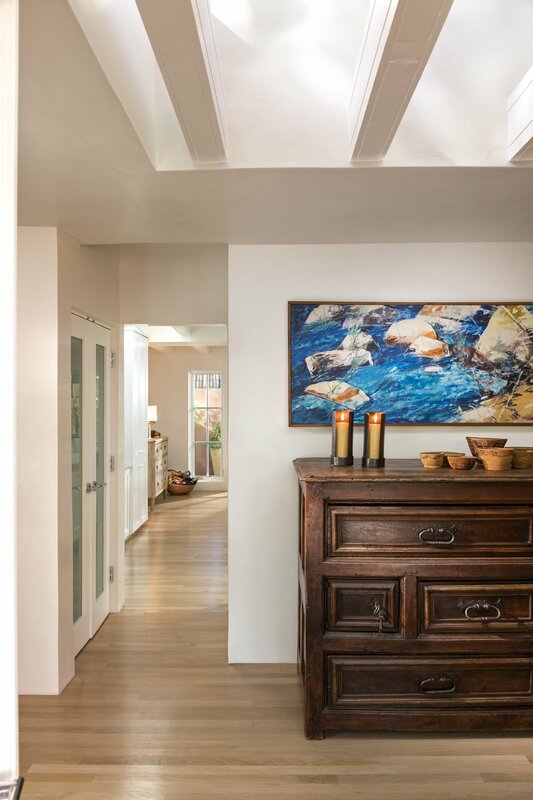 Hand troweled plaster walls, beamed ceilings and white oak floors throughout establish continuity and flow between rooms. 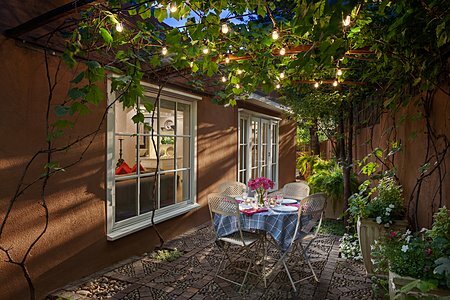 The kitchen, with large island, is marvelously functional and opens to a lovely dining patio with a grape arbor. 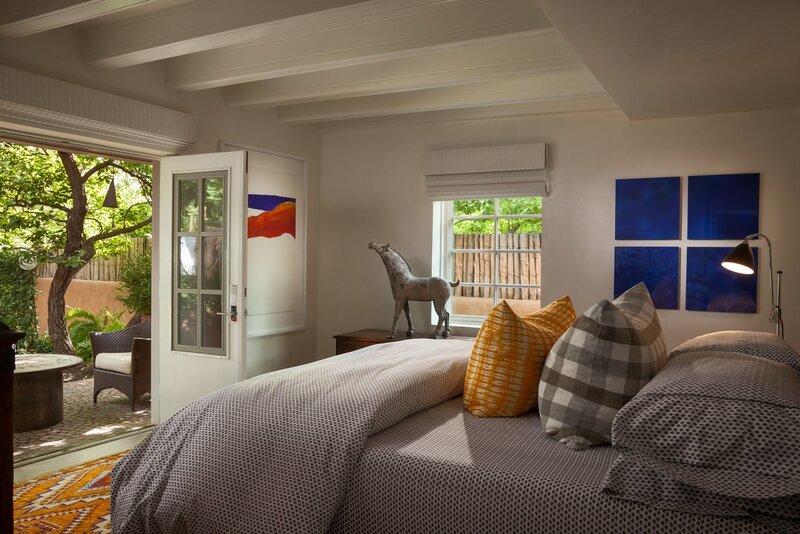 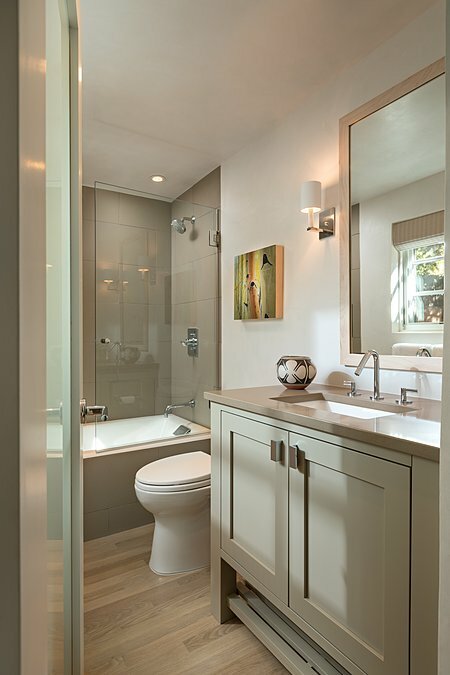 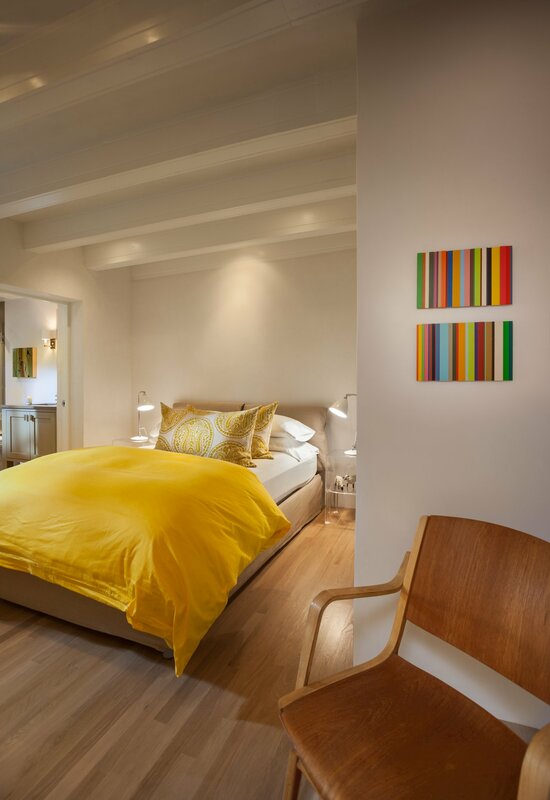 Climate control provides separate zones for the Master Suite heating and cooling. 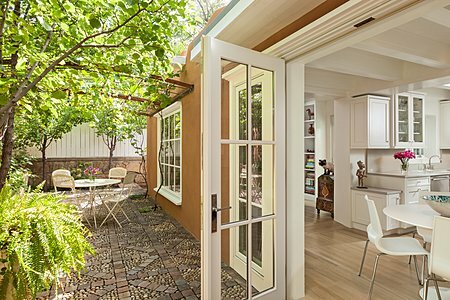 A blend of indoors and outdoors is accomplished with most rooms opening to patios and with garden views to enjoy from every room. 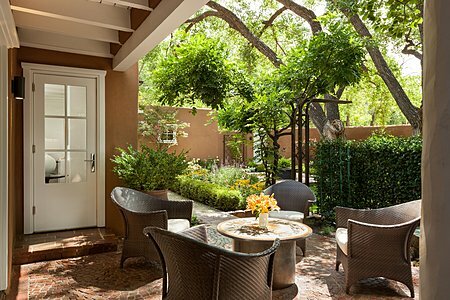 A lushly landscaped paradise, the grounds include established flower gardens, 2 fountains, magnificent mature trees and more. 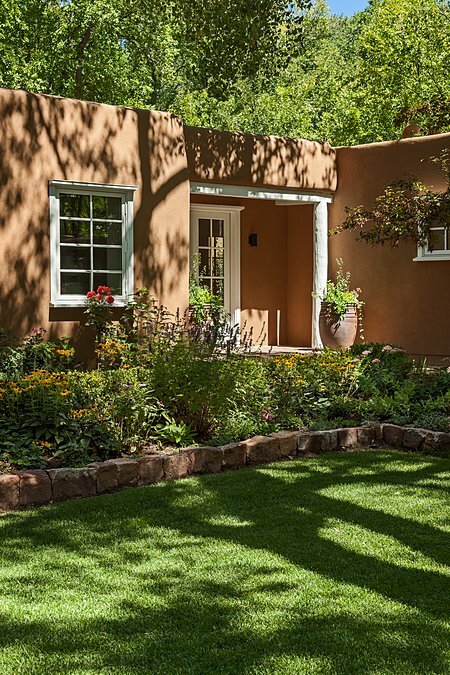 A private well supplements watering. 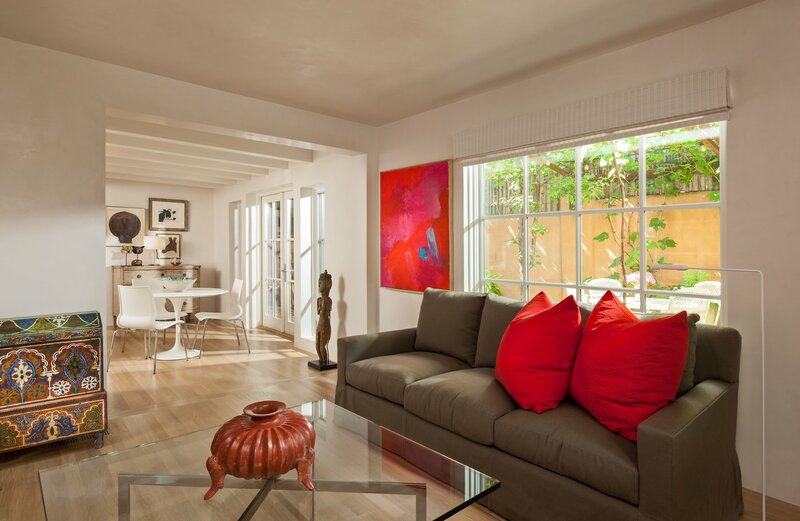 With a gated entry, garage and Canyon Road a block away this property is immensely special.